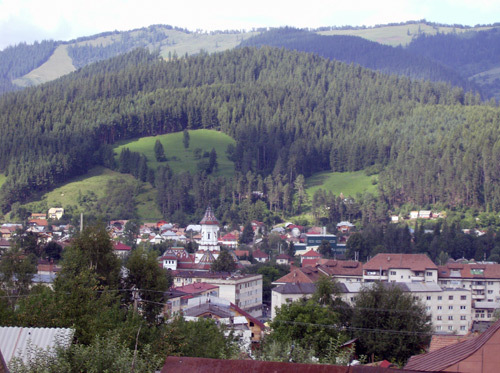 The town is situated in a picturesque area, on the river Moldova, at the foot of Rarau Mountain(621m altitude), 70 km away from Suceava. In 1411 the town was for the first time mentioned in documents.The fresh and ozonized air and the mountain landscape make this place be a comfortable health resort. “The Art of wood” Museum. It presents a rich ethnographic material which reveals the skills of the inhabitants along the centuries concerning the processing of the wood, as well as some wood carvers’ artistic works. “I. Tugui” collection. It is a less usual collection that contains over 4500 wooden spoons(from Romania and from some other countries in the world), over 1300 sewing models, carpets and old and new coins. “Dragos Voda si Zimbrul” statuar monument. Situated near the restored House of Culture, the monument is Ion Jalea’s work. The secular forest from Slatioara. It lies 18 km away from Campulung Moldovenesc and it is a forest reservation, situated at 400 m altitude, covering a surface of 600 ha. One may see there fir trees and spruce fir trees that are over 50 m tall and about 400-500 years old. Prisaca Dornei it lies 12 km away from Campulung Moldovenesc and it contains also one of the most important troutfarms in Romania. Vama it is situated 16 km away from Campulung Moldovenesc and it’s an important ethnographic and popular art centre. Moldovita Monastery. 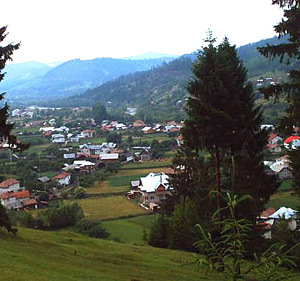 It lies in Vatra Moldovitei village, 33 km away from Campulung Moldovenesc. 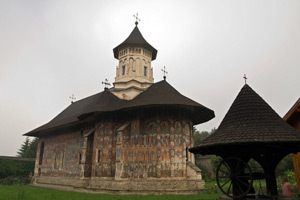 Being a famous medieval architecture monument, Moldovita Monastery was founded by the ruler Petru Rares in 1532. The architectural pile is surrounded by walls(6m tall and over 1 m thick). Being a remarkable achievement, the external paintings present various scenes, the dominating colour being yellow. 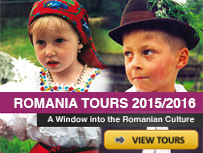 The museum contains various Moldavian feudal art items. 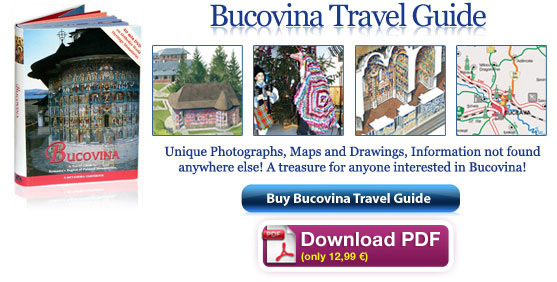 The “Golden Apple” may be found here as well, being a trophy given by The International Federation of Travel Writers and Tourism Journalists to the touristic area of Bucovina. 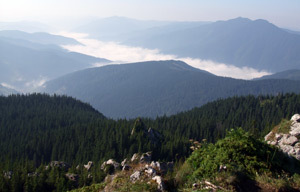 Campulung Moldovenesc, view of the Rarau Mountains. 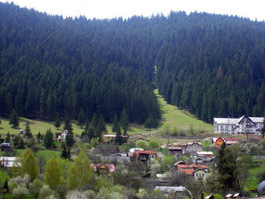 Campulung Moldovenesc – The district Izvorul Alb – Sihastriei Glade – Rarau Hotel (almost 4-5 hours on foot). The distance can be covered by car as well. – Campulung Moldovenesc – North side slope of Bodea Mountain – Sihastria Galde – Rarau Hotel (almost 4 hours on foot). 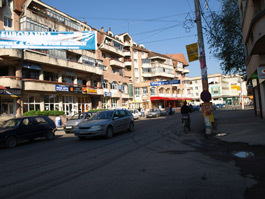 – Campulung Moldovenesc – Mesteacan River – Munceii Insirati – Rarau Hotel (almost 5-6 hours on foot).